My three cats are more than just pets. They are members of our family. We have two girls and a boy and all of them have completely different personalities. Misty, our fluffy girl, is shy and gentle. 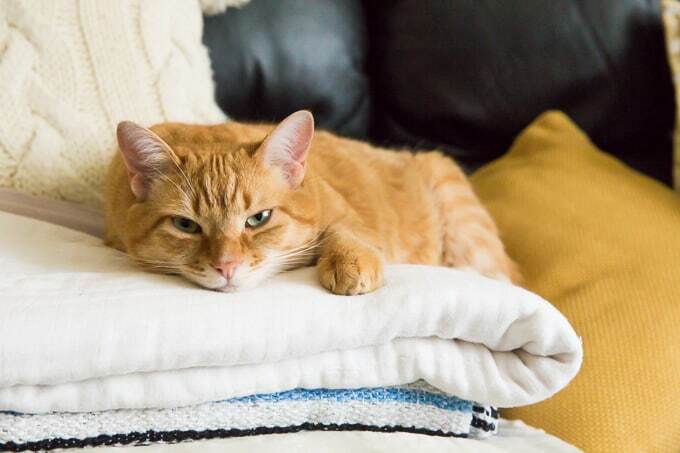 Princess, our white and striped girl, is a diva and Reggie, our ginger boy, is mischievous and my sidekick who follows me around all day. 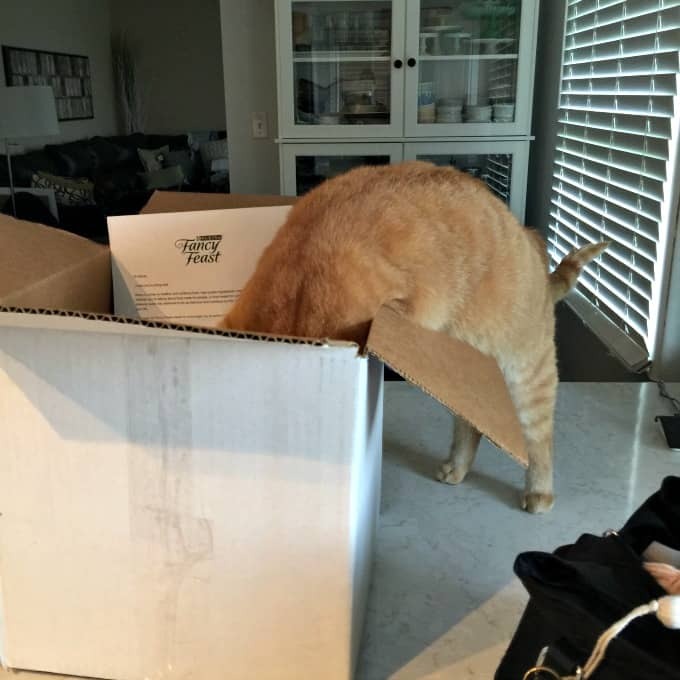 Recently, I had some goodies delivered from Fancy Feast and Reggie was all over the box. We all know how much cats love boxes, right? Reggie dove right in and started nosing around. I think he knew there was cans of Fancy Feast inside. My cats LOVE canned cat food, especially Fancy Feast! One thing I love about Fancy Feast is their diverse selection. I typically buy the packages pictured below since we go through a lot of cat food in my home. They only use quality ingredients so you can count on your cat’s meal being both nutritious and delicious. 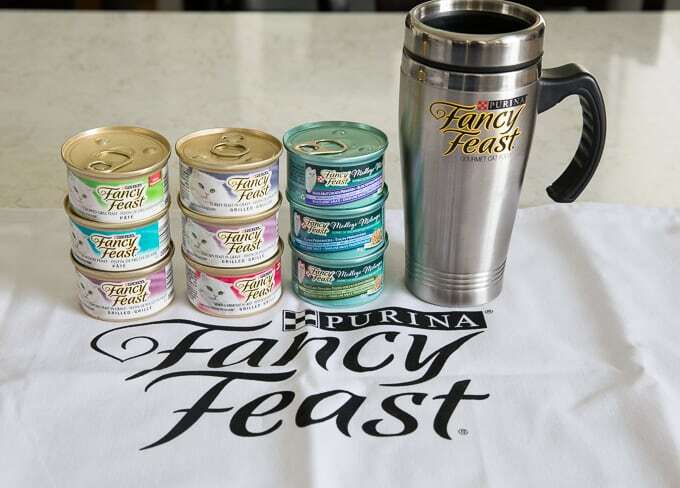 Here’s a quick peek at some of the Fancy Feast goodies that was in our delivery. I love that they sent my cat’s Meowmy (me!) a travel coffee mug. I drink coffee like it’s going out of style. 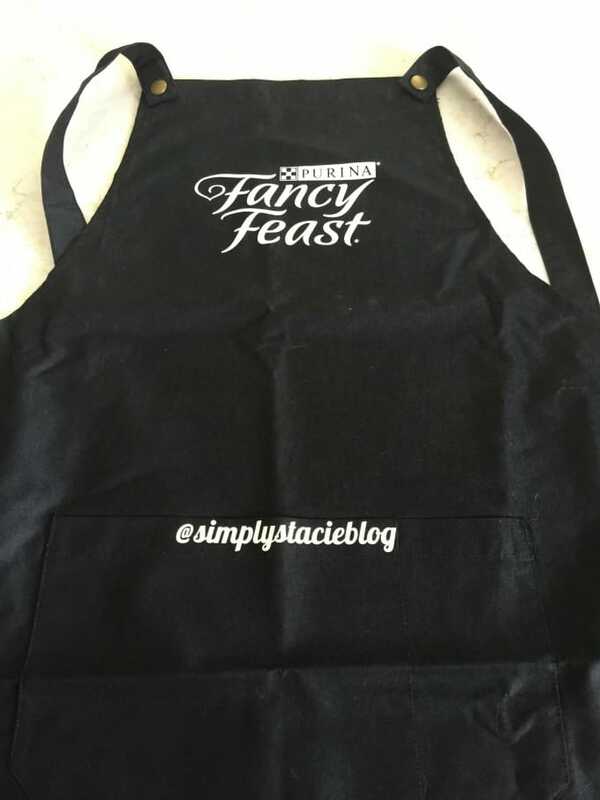 They even sent me an apron with my handle on it. I spend a lot of time in the kitchen preparing meals both for my family and to share with my readers. 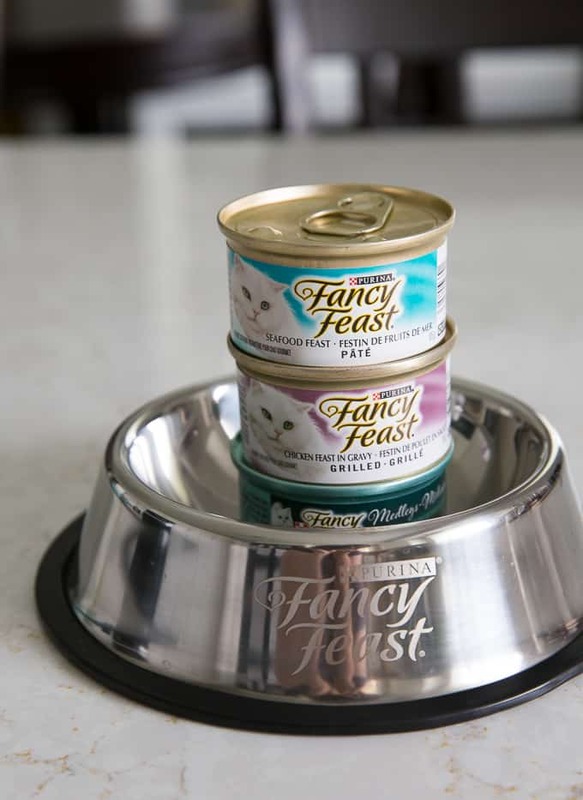 Fancy Feast believes that great taste should be on “Le Menu” every day and that cats are foodies, too. On “Le Menu” are more than 12 recipes and 45 different tastes and textures providing your cat with balanced nutrition. Each flavour has real poultry, meat and seafood as well as other proteins like trout, shrimp and tuna. One big reason why I buy Fancy Feast for my furbabies is the fact that their recipes are similar to meals we’d feed our own families. Tuna Primavera, anyone? What better way to show your cat how much you care by serving them a gourmet meal that they’ll enjoy eating. It always brings a smile to my face when I open the cupboard door with the cats’ dishes and food. My cats know the sound and come running. They could be in a deep sleep or just relaxing on the couch and as soon as they hear the familiar noise, they are right there at my feet meowing to be fed. Did someone say it was dinner time? I have to feed the cats separately because Reggie will eat all his food and then try and finish off his sisters’ meals. Like I mentioned, he thinks he is the king and is not afraid to give his sisters a little swat in the face to get their food, too. He loves his new Fancy Feast bowl. After Reggie finishes his dinner, he does the cutest thing. He squints his eyes and licks his lips from side to side. I guess that is a sign of a happy, fed cat! Misty loves the Fancy Feast Paté. She takes her time with her dinner and doesn’t scarf it down as quickly as her brother does. 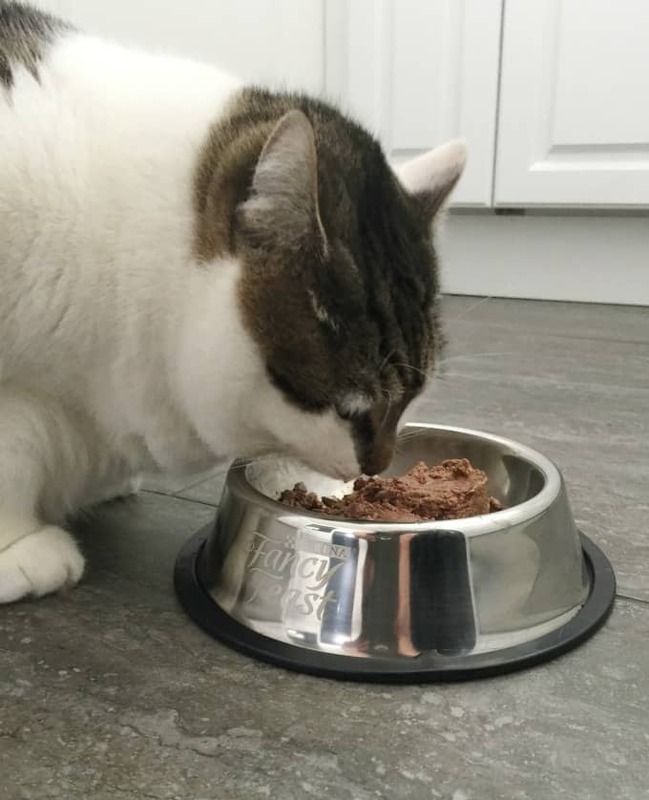 A high-quality gourmet meal is an excellent way to show your cats love. It makes me happy to see them happy! 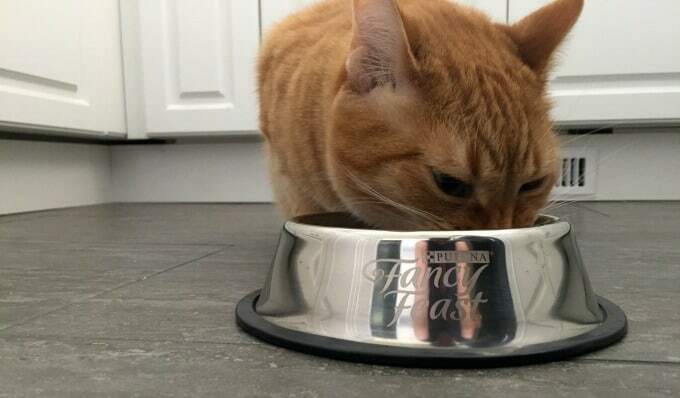 Have your cats tried Fancy Feast? I love you SOOOO much Reggie. What a fabulous post Stacie!!!! My kitties are loving their Fancy Feast too!!!!! It is funny that your cat thinks he rules the roost! I have seen pets try to each the other one’s food and the other one was not having it! LOL Fancy Feast looks like a great food to feed your cat! We don’t have one but a lot of my friend’s do. My cats love it when I give them Fancy Feast. 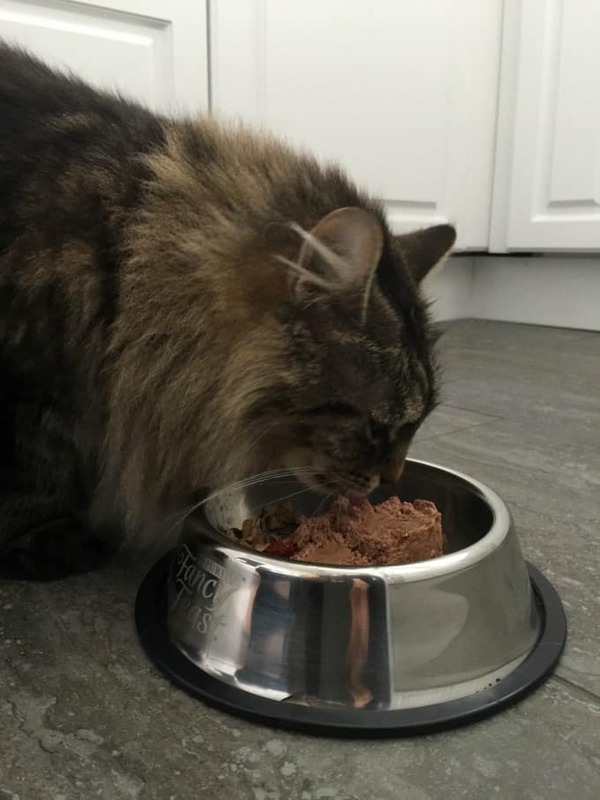 I have two cats that I love to spoil and always want to get them the best food I can. Your cats are just so precious! My of our friends with cat use Fancy Feast, as I think its the best food for them! What sweet cats! We don’t have cats but I have always wanted one to snuggle with! Beautiful kitties! 🙂 I’m all about giving cats wet food, they definitely need the moisture. I am looking to add canned food to our cat’s diet. I like that Fancy Feast offers such a variety. 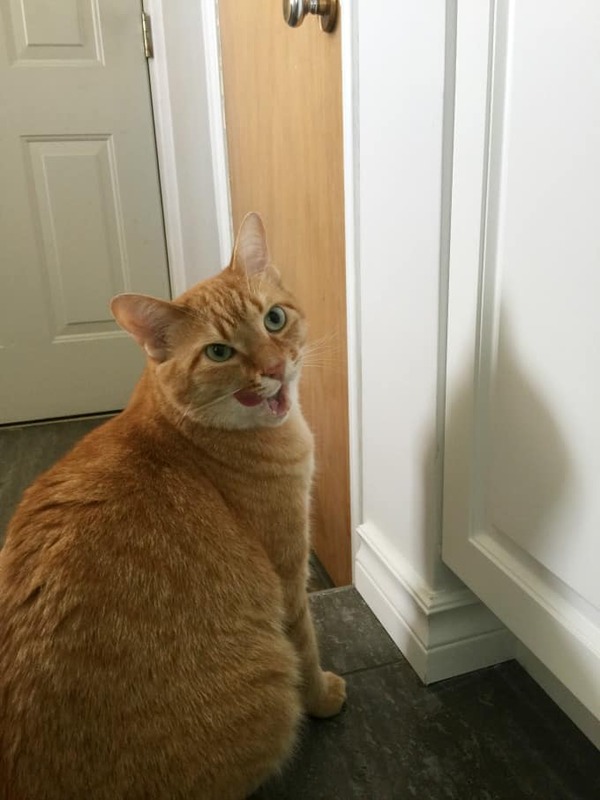 Your cats look like they are loving this food! What pretty cats you have enjoying this tasty kitty feast! Reggie, you sure are looking good! 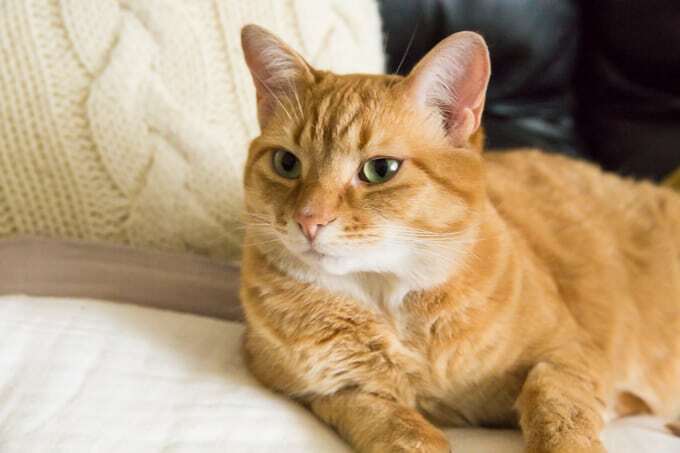 It’s such a great idea to give cats wet food – helps them be sure to take in enough liquids. You have very cute cats! They look really happy with their food. I have a friend who just adopted several cats..I will share this contest with her! Your cat is the cutest! It’s hard to find a food that our pets love but see yours loves Fancy Feast. Which one was the favorite out of all of them? 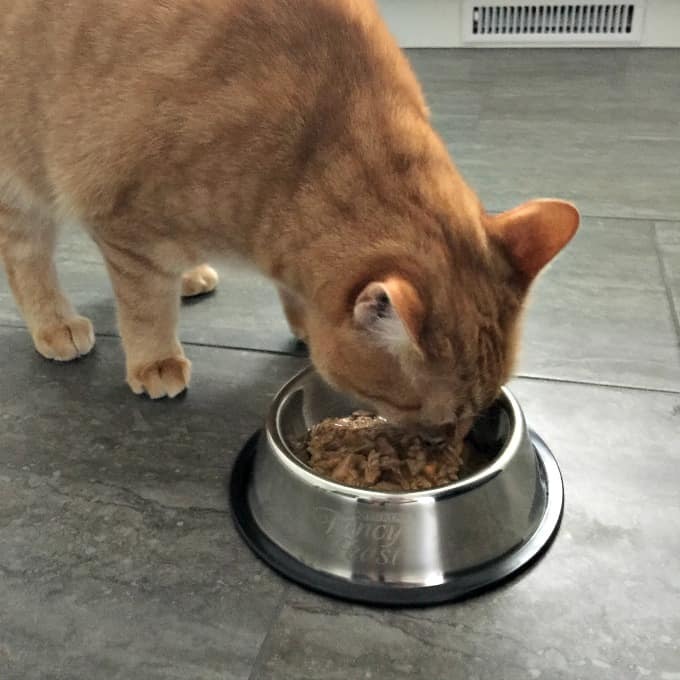 Pets can be foodies too! I’ve definitely had pets that cared more than others about the quality of their food. Fancy Feast for all! My cats are very fussy about soft food. 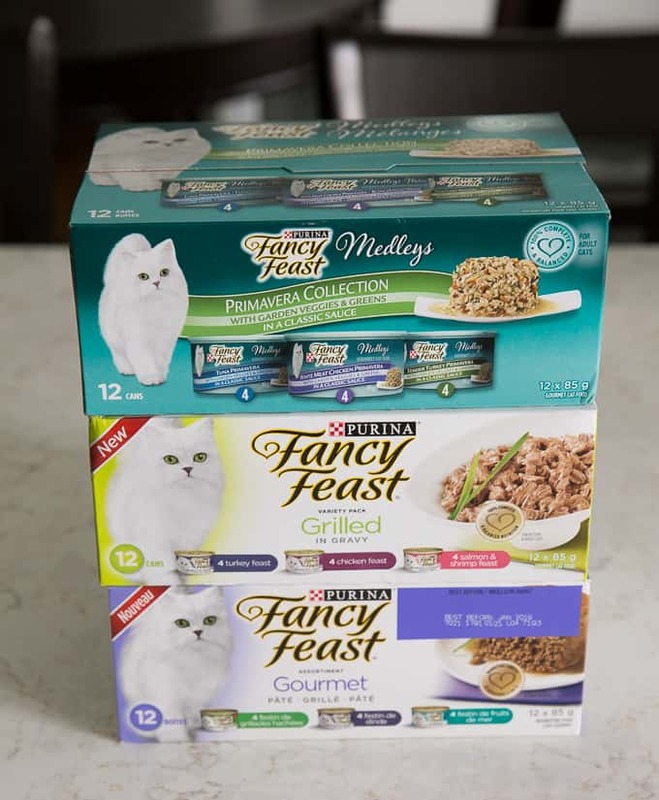 Fancy Feast Medleys is the only one I buy now! Cute cats! Our two cats enjoy fancy feast as a treat a couple time a week and they always lick their lips big time when they are done. Awesome, my cat loves all canned food. I have 5 cats. One has a malformed jaw (feral kitten and she was fine but couldnt find a home) for her Fancy Feast is the food of choice. Dry form it is nice and smaller than regular cat food. She can eat it and that is all she eats!